When one considers how much content is available online, and the ease of consuming video, it is easy to understand how YouTube has become the second largest search engine, and how video SEO has become a new industry buzz word. Video manages to capture, and hold, the attention of viewers and excuses the need to read (or rather scan) a lot of text. Over three billion searches are actioned on YouTube each month, and approximately 100 hours of videos are uploaded every minute. With over 6 billion hours of videos viewed every month, YouTube reaches more adults aged between 18-34 years in the US than any other cable network. These figures demonstrate how important video is, and how YouTube plays an important role in transforming the way that we consume information. It is for the same reason that video SEO is so vital in getting your content noticed! Video has become an increasingly important element in a marketing strategy. 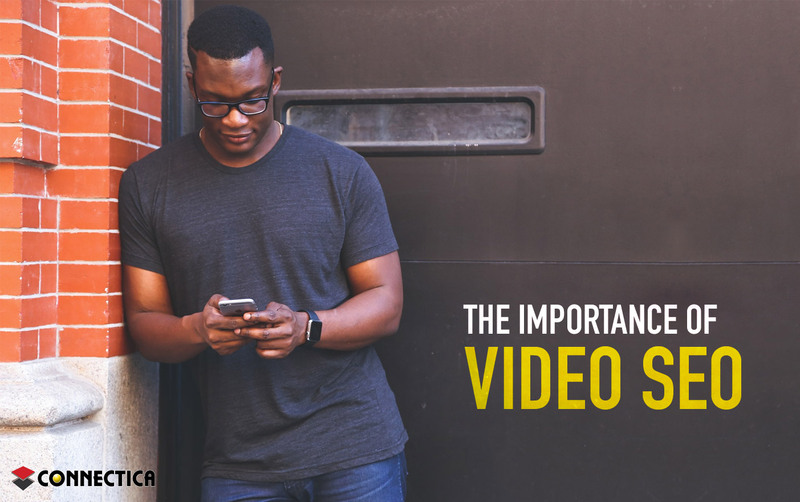 With constantly declining attention spans, video is a conveniently consumable medium. The visual and narrative nature of video catches the attention of consumers, and holds it. In addition, video is a shareable medium, meaning that your content can achieve a wider reach. Video boosts conversion and sales as it is able to better explain a product or concept, and captivates the viewer with visuals. Video is known to demonstrate higher return on investment. Although it can be expensive and timely to produce, the effectiveness speaks for itself. It builds trust by connecting with the viewer in an engaging and interactive way. Often, video can better communicate a concept of product. Google loves videos and ranks them accordingly in searches. That is why it is so important to further optimize your videos for SEO. Mobile users embrace video as mobile consumption has grown in popularity. Video boosts engagement. Consumers want a quick and visual explanation so when they come across a learning tool that meets this demand, they will enthusiastically share it with their network. With YouTube being the second largest search engine next to Google, it is important to optimize your video content for search engine rankings. Meta Data. This refers to your video titles, descriptions, and tags. It is crucial that your keywords are included in these elements. Quality of video. It goes without saying that if time and money are invested into a video that represents your brand, it should be of high quality. YouTube ranks HD videos higher than lower-quality videos. This is because viewers are quick to leave a low-quality video in preference for a higher quality video. Engagement. YouTube ranks videos on their likes, comments, and shares. Distributing your videos as soon as they are uploaded will help improve engagement, and thereby improve your ranking. YouTube’s additions. YouTube allows channels the opportunity to upload custom thumbnails and add end annotations. These opportunities should be taken advantage of in order to improve the click through rate and subscription rate. YouTube also allows users to upload subtitles and closed-captions which are known to improve engagement and increase rankability as the captions are crawlable by search engines. Your channel keywords and targets need to be appropriately defined. These keywords need to be relative to your business and have search volume meaning that people are likely to search for the keywords that you choose. Your channel’s description and links are another area that deserves focus as it provides an opportunity for high ranking. Again, focus on relative keywords that are likely to be searched and be sure to include links to both your website and social media platforms. Each video is given a page, and it is just as important to optimize the page as it is to do so for the channel as a whole. Videos are a valuable tool to sell your brand and its products or services. Ensuring that effective SEO is applied will give your videos the opportunity to fulfill their purpose.